You didn’t think I’d stop at Easter cupcakes, did you? Oh no! There are so many delicious recipes for Easter desserts to share! This is a collection from talented bakers and bloggers – to view the full recipe for any of these ideas simply click on the title of the recipe. Get ready to drool! There are so many ideas here that I want to try with my own family. 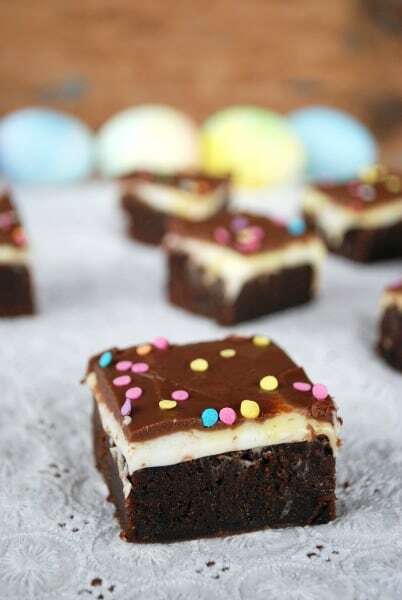 I absolutely love Cadbury Cream Eggs and brownies so I know I’d love these Cream Egg Brownies (pictured above) by Merry Thought. Oh my gosh – these look so delicious! If there’s one thing I love more than Cadbury Cream Eggs, it’s Cadbury Mini Eggs. I’m so glad that they now sell them all year long! 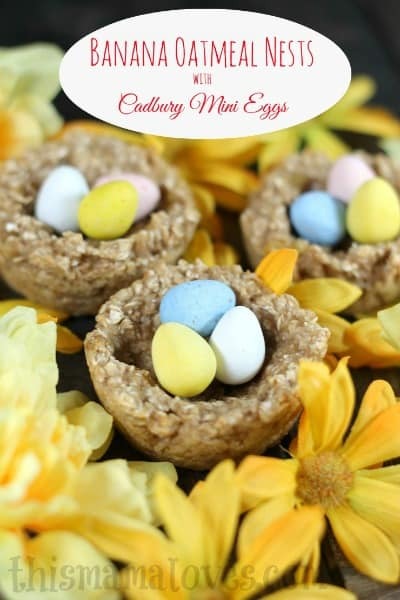 These Banana Oatmeal Nests with Cadbury Cream Eggs by This Mama Loves looks like a recipe I’ll have to try this year! 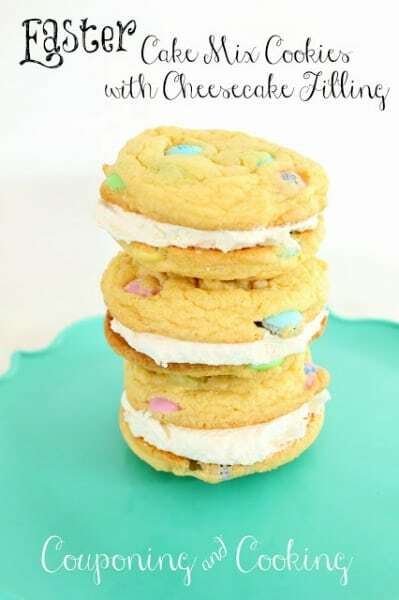 Easter Cake Mix Cookies with Cheesecake Filling…need I say more? These cookies by Couponing & Cooking look so good! 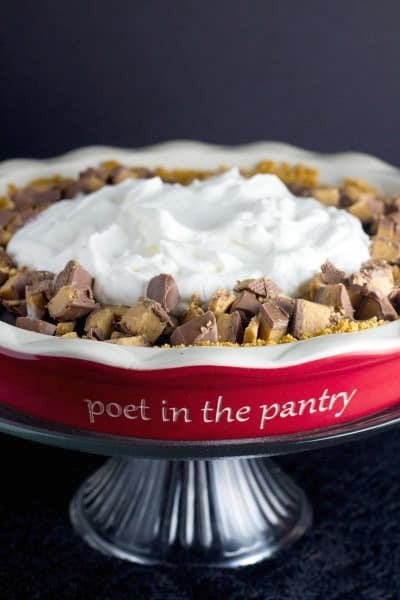 We don’t eat peanut butter around here because of my son’s allergy but this Chocolate Truffle Peanut Butter Egg Easter Pie by Poet In The Pantry looks so good! 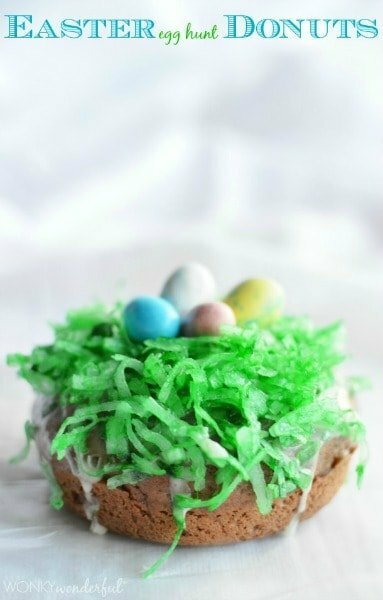 These Easter Egg Hunt Donuts by Wonky Wonderful look like a delicious option for a breakfast brunch party. Chocolate & pretzels are a delicious combination. 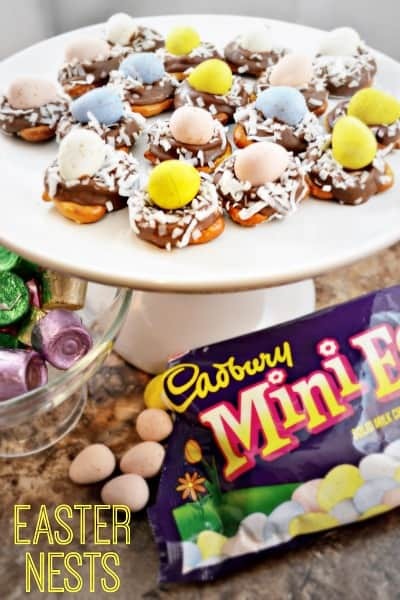 These Easter Nest Treats by This Girl’s Life Blog look pretty easy to create and I’m sure they’d be gobbled up quickly. She also has two adorable free printables for packaging up these treats for family and friends. Caramel corn is a treat my dad can never turn down. 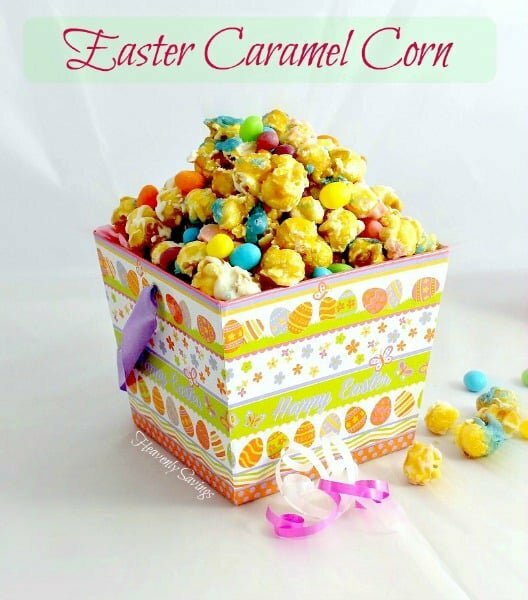 This Easter Caramel Corn by Heavenly Savings & Homemaking would be a great treat to give as a gift to friends and family. Don’t forget to visit our Easter Activities page for more delicious ideas, free printable games, party ideas and more. For more recipe ideas, visit our Party Food & Family Meals page. We’re always adding new ideas. Never miss an update by following us on Facebook, Twitter, Pinterest, Google + and Bloglovin’. 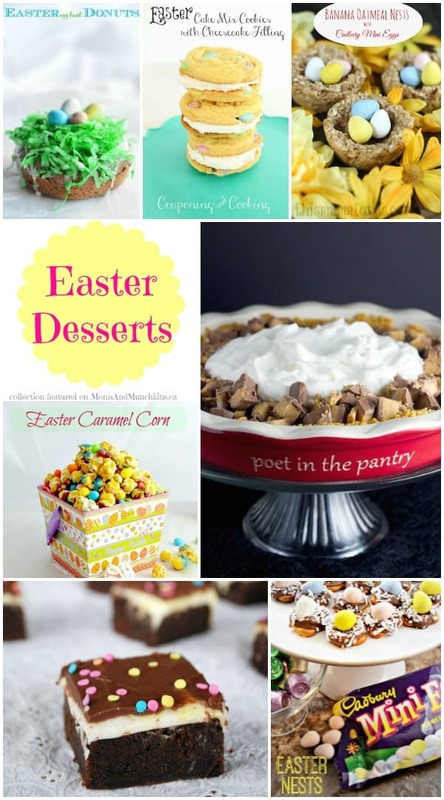 Great collection of Easter dessert recipes! Thanks for including my Chocolate Peanut Butter Egg Easter Pie!